According to a recent statistic by the National Association of Realtor (NAR), approximately 66% of the 1.3 million licensed realtors in the United States are exclusively active in residential real estate. NAR takes that statistic a step further, citing millennials as the majority of the 66%. Many accredit this statistic to the Mortgage Bankers Association and indicated that of the $14.2 trillion U.S. real estate mortgage market, approximately two-thirds is in single-family transactions and one-third is in multifamily and commercial properties. The total U.S. residential mortgage market exceeds $14.2 trillion, including residential, multifamily, farm, and commercial real estate. $10.2 trillion of that total is in single-family mortgages. $3.7 trillion is in multifamily and commercial real estate. In short, there are often more opportunities in residential real estate than in commercial. Others point to the fact that it takes time to develop the skill set, client relationships, and market knowledge to break into commercial brokerage. K.C. 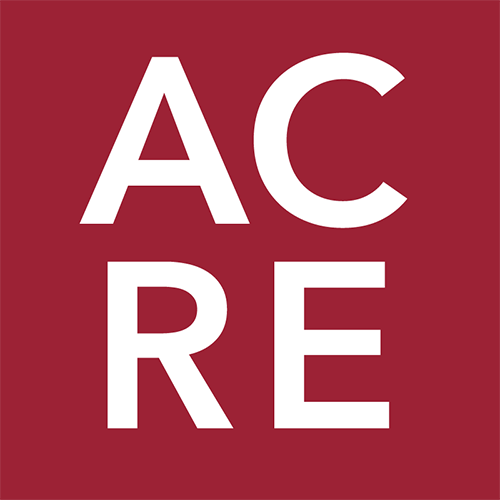 Conway, MAI, ACRE’s Director of Research and Corporate Engagement and CCIM’s Chief Economist suggests that commercial brokerage may be more complicated and the path to entry less clear. He suggests that single-family brokerage enables younger professionals a direct path to fast success without the time lag in commercial brokerage. Conway proffers that the path into commercial brokerage may have to be more indirect with tours of duty in related disciplines of appraisal, property management, mortgage brokerage and even loan underwriting to allow the professional starting out to earn some income and learn on the job while they build a network of relationships. Below we explore some of the variables and see the viability of Millennials interested in brokerage in looking at a less direct path to gain the skill set and connections to be successful at commercial brokerage quicker without undertaking an extreme diet or being homeless, for lack of better terminology. Time is one of the most easily identifiable examples. According to an article by realtor.com, it takes an average of 50 days to close on home in the United States. Compare that figure to a six to twelve month closing in the commercial realm. The abbreviated timelines in residential real estate, often provide agents with more steady and reliable income than commercial - especially in the beginning. This is very attractive for many millennials salivating at the sight of their first sale and in need of a payday. “Long hours should be expected in the first few years with even longer periods between paychecks,” says millennial broker James Lomax. While the reduced timetables of residential real estate often provide more stability in the beginning, commercial brokers who afford the time and effort reap the benefits.“One single deal could land you a paycheck the size of many of your peers’ yearly salary,” says Lomax. Real estate is a people business. It takes time to build a network and acquire the skill of negotiating the deal in a more complex piece of real estate than a house. Homes are fairly homogeneous in nature, but no two pieces of commercial real estate are alike. The leases are different. The construction design is different and there are a myriad more factors impacting value from zoning and easements to leases and debt to be assumed or replaced. It takes 1-part market knowledge and 1-part buying/selling acumen to be successful at residential brokerage. But it takes market knowledge, lease and DCF analysis, construction and design knowledge,t tenant rep skills, commercial building owner network, etc. to tackle commercial brokerage. In other words, commercial brokerage involves a more complex skill set that takes years to develop and refine before success follows. And most of these skills are learned in an apprentice-type role. Step 1 is finding a mentor and step 2 is being patient to acquire the myriad of skills. And that is exactly why most commercial brokers begin their career working under a veteran. In a sense, it’s like an apprenticeship. In many cases, a seasoned broker will begin by teaching the new broker about a specific market or asset class by having he or she create listing proposals and packages. After the broker has a grasp of a particular market and/or asset class, they learn to value property. This is where the real leg work is put in. The ability to accurately value an asset is critical and is certainly no easy feat. There are a multitude of moving parts. What are the tax implications? How can the owner/investor reduce operating costs? What are the terms of the lease? The list goes on. Then, there is closing. Residential real estate follows a fairly systematic approach to closing. The same is not to be said in commercial real estate. Brokers must learn to navigate the nebulous closing process. While both residential and commercial real estate require knowledge of real estate finance, commercial real estate commands a deeper understanding of a deal’s financial facets and including operating expenses, cash flows, and ROI. “This additional knowledge can be learned best be acquired by affiliating with a professional organization like SIOR, NAIOP, ULI and CCIM Institute, which have robust programs with industry experts as instructors that teach the practical of investment and financial analysis as well as the formal classroom mechanics. The CCIM Institute has among the best curriculum for a rising commercial broker,” says Conway. The financial differences stem from the core distinction between residential and commercial real estate. Residential real estate agents are selling a lifestyle; commercial real estate brokers are selling cash flow. “While a home purchase is a significant investment, the investment is influenced by other factors like schools, proximity to family and friends, and personal preferences and desires. The home purchase is more a personal decision with an element of emotion tossed in, while a commercial real estate transaction is mostly a business investment decision driven by objective variables rooted to a hurdle ROI or IRR. A young broker starting out has to discern the respective drivers that influence a transaction decision in residential versus commercial real estate,” says millennial broker Alex Samples. “Technology used to be a barrier to commercial real estate, but to be honest technology is a hurdle for both residential and commercial brokers. The technology is driving agents out of residential quicker, and in commercial it is a game of consolidation so the big are getting bigger (the recent demise of Xceligent and enormous reach of CoStar is just one example),” said Conway. As with any industry, technology elevates the quality, efficiency, and exposure of a business - real estate is no exception. Both brokers and realtors rely heavily on technology to generate leads. “There are ample avenues to generate leads and opportunity within the residential realm, but commercial is still a relationship business dominated by those that are connected,” says Samples. “It is just plain harder to find leads in commercial real estate because the leads are all relationship driven. That is a tough nut to crack,” says Conway. But there are alternatives paths. “Volunteering in areas where the commercial real estate congregate (a Habitat build project, or at industry conferences by the trade groups they affiliate with - CCIM, ULI, NAIOP, SIOR, etc.) is a more effective investment of time and money than traditional marketing methods. Think outside the box and how you can get connected with the commercial property owner and investment community is a path that will be rewarded long-term. Get involved more so than an email blast,” says Conway. “While the money and the ability to expose yourself to investment opportunities is alluring, it simply is not for everyone. If you do not mind rolling up your sleeves and visiting countless people who frankly do not want to see you, or dialing the phone until your ear goes numb, then this career may work for you. If this sounds like something you would be interested in, my best advice is to find a veteran in the business and try to work under them. You’ll help them by taking some off their plate and they will help you by exposing you to people and experiences,” says Lomax.